A surprise plan to merge three state lenders leans on Bank of Baroda to form a group with $200 bln of assets. With an election coming next year, it’s a good sign that an overdue restructuring of the sector is back on the agenda. The details, though, are less inspiring. A man uses his mobile phone as a commuter walks past an advertisement of Bank of Baroda in Kolkata, India, November 6, 2015. 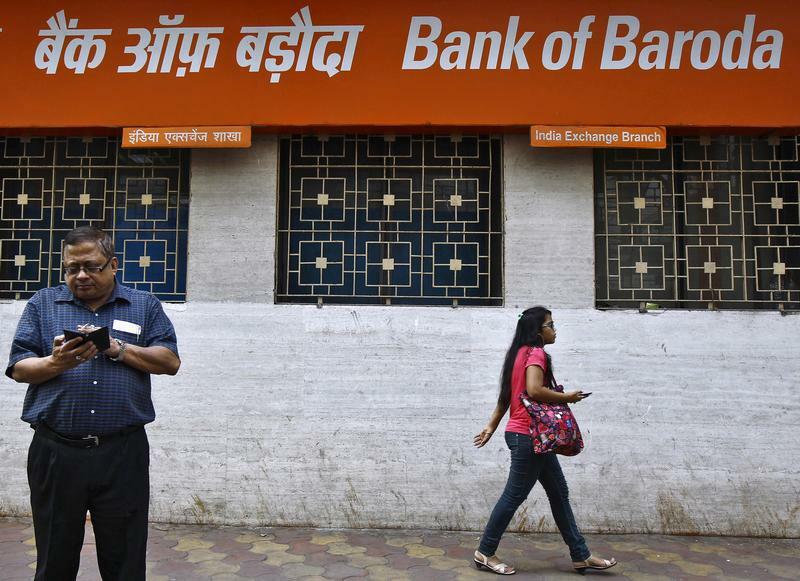 Bank of Baroda Ltd, India's second-biggest state-run lender by assets, posted on Friday an unexpectedly sharp 89 percent tumble in its quarterly net profit, hit by a spike in bad loans and higher provisions for impaired assets. The Indian government said on Sept. 17 it planned to merge three state-run financial institutions: Bank of Baroda, Dena Bank and Vijaya Bank. The combined group would be the country’s third-largest lender, with 14.8 trillion rupees in assets ($204 billion), 9,500 branches and almost 86,000 employees, India’s financial services secretary said. India owns majority stakes in 21 banks, which account for more than two-thirds of the industry’s assets. The three-way deal requires approval from the cabinet of ministers and parliament, a process expected to be completed by the end of March 2019. In Indian afternoon trading, shares in Vijaya Bank were down 3 percent and Bank of Baroda’s fell more than 13 percent; Dena Bank’s were up nearly 20 percent.